Ok, I’ll be honest. 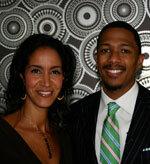 I didn’t expect much when I went to interview Nick Cannon as a Powerplayer. Sure, I knew he was talented and highly likeable. I knew he’d made an impact in front of the camera (star of Drumline, host of America’s Got Talent, etc.) as well as behind the cameraÂ (creator of Wild n’ Out and School Gyrlz). And I knew there was little he hadn’t attempted (Comedy? Check. Drama? Check. Writing? Check. Producing? Check. Rapping? Check. Marrying Mariah Carey? Check!) But handling the boardroom? Seriously? I had my doubts. You have to admit, it seemed a little bit suspect (and cutesy) when Cannon was named chairman of Teen Nick. Even my own children (who have, literally, grown up watching him as a young TV star) thought it was a gimmick. It also seemed brilliant from a marketing perspective, especially given that he began his high-octane career on Nickelodeon at the tender age of 16. But surely someone else at Viacom must be actually running the brand. Right? Wrong. And having met Cannon, I get it. Despite his full-of-fun persona, this young man (he turned 30 a few days before we sat down together) is not playing! He graduated early from high school and, with college acceptances in-hand, opted to start getting paid for doing what he loved instead. Having been diagnosed with Attention Deficit Disorder (ADD) as a child, Cannon has channeled his excess of energy andÂ innovative ideas into growing his own production company (NCredible Entertainment) and, now, Viacom’s ambitious teen brand. He’s humble: What’s not in his office? Trophies of any kind. He boxes–daily! The super-lean chairman was a black belt in Tae Kwon Do as a kid. In addition to business, boxing, he says, is another great extra-energy channeler. He’s an early riser and a cat-napper (he leaves the house at 4:30 a.m. and an “earlyâ€ day ends at 10 p.m. That’s not bedtime, that’s go-home-time). For Cannon’s 29th birthday, Nickelodeon gifted him with 29 pounds of candy from Dylan’s Candy Bar. For his 30th this year, he received a boxing bag by Everlast, bearing the motivational words: “Greatness Is Within.â€ Looks like he’s all grown up.